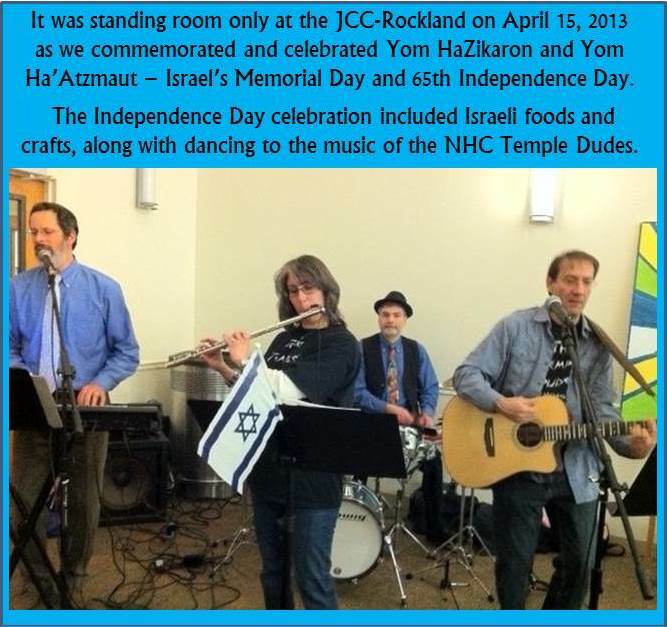 The Temple Dudes act as The Nanuet Hebrew Center’s unofficial “house band”. The Temple Dudes perform at many NHC functions and fun(d) raisers. 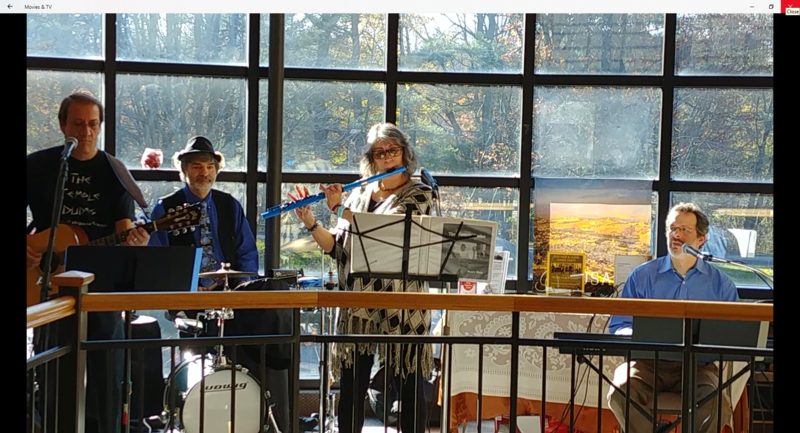 Some of these include Cantor Concerts, Arts Festival receptions, Chanukah Zimriya festivals, coffee houses, outdoor concerts, winter vacation get-togethers, and Purim Spiels. In support of various charitable causes, the Temple Dudes has assisted in the raising of literally tens of thousands of dollars. 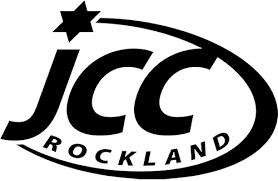 Some of the benefitting organizations have included JCC / Jewish Federation of Rockland, Rockland Jewish Family Service, Reuben Gittelman Hebrew Day School, Helping Hands of Rockland, Nanuet Hebrew Center, Greenburgh Hebrew Center, Helen Hayes Hospital, Nyack Hospital, ARC of Rockland, Sandy Hook / Newtown and Hurricane Sandy Relief. The Temple Dudes additionally participate annually in the NYC Celebrate Israel Parade, providing the beat and music for Rockland Coalition marchers and dancers. 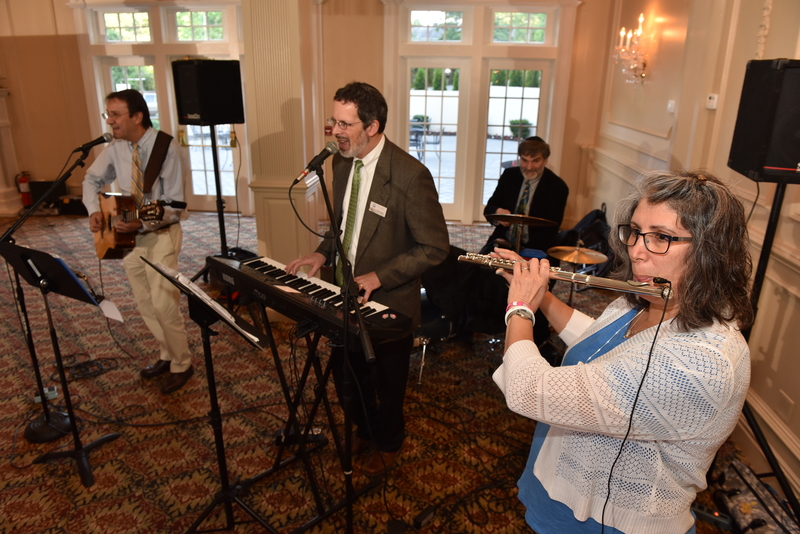 The Temple Dudes features NHC’s Cantor Barry Kanarek (keyboard, bass, guitar and vocals), Dr. Ken Blumberg (guitars, vocals and harmonica), Bruce Pollack (drums, percussion and ‘cajon’) and Rose Pollack (flute). 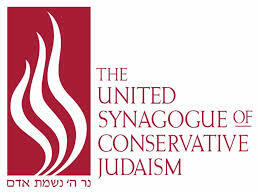 The Temple Dudes also actively encourage participation from synagogue youth and other members of the congregation. The Temple Dudes perform a wide variety of folk, rock and Israeli music. The music selection and tone is adjusted based on the audience, occasion and venue. The Temple Dudes enjoyed performing at NHC’s “Nineteenth” Mid Rockland Arts Festival. Thanks to everyone who came out to support the event, and listen to our music!